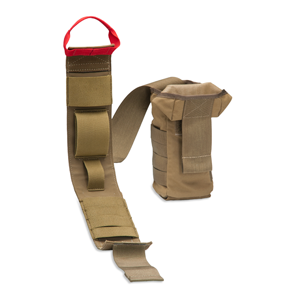 Chinook's Gen 1 TMK-IFAK Pouch is designed with space and ease of use in mind. 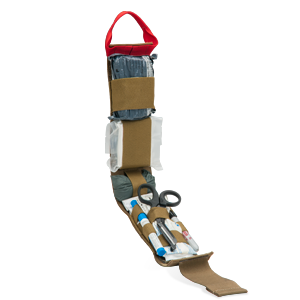 Simply open the pouch with the access tab and pull the elevator strap to deploy the medical supplies. 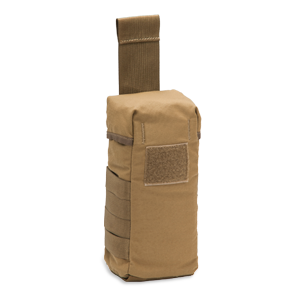 Chinook's Gen 1 TMK-IFAK Pouch is designed to hold the necessary medical supplies for treating the three leading causes of preventable deaths on the battlefield: exsanguination, tension pneumothorax, and airway obstruction. 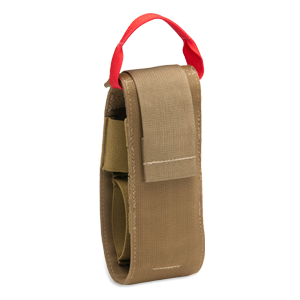 The TMK-IFAK Pouch is a low-profile container that is comparable in size to a standard AR/M4 double-mag pouch. 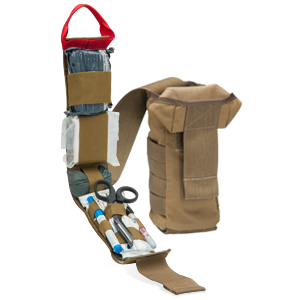 Utilizing a unique design, the TMK-IFAK Pouch allows you to access your medical supplies quickly via an internal elevator strap that dispenses your gear with a simple pull. 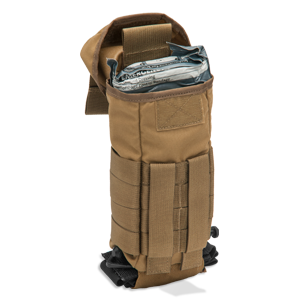 The TMK-IFAK Pouch comes with two MOLLE Straps and four rows of PALS webbing on the sides for external tourniquet attachment, a drain hole at the bottom, and a 3" elastic retainer band that can function as an optional tourniquet holder. Size: 10" x 3" x 2.5"